UniFilter "Filter Fix" filter oil is a heavyweight mineral oil mixed with non-drying glue agents. This mix of oil is very important for good filtration - as it must be liquid enough to travel and meet the dust as it builds up on the surface of the foam and thick enough not to drain from the foam. The formulation of "Filter Fix" has taken many years to perfect. Since 1978 there have been several improvements, on each occasion some two years of field testing were undertaken prior to acceptance of that formula - the present formula is simply the best on the market. 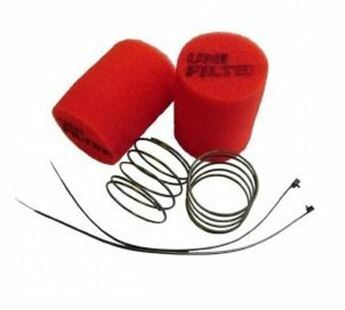 WARNING: UniFilter strongly advises against using filter oil designed for cotton gauze filters. This filter oil may seem similar but it is far from it. If you use this type of oil you may run the risk of severely damaging your engine.